“Pakistan is a world leader in the visa fraud business which is why we have to check very scrupulously every single application, every single passport, every single document,” British High Commissioner to Pakistan Adam Thomson said in a news conference. Adam also explained that UK visa officials had spotted as many as 4000 fake documents in 2015 submitted by Pakistanis seeking travel. 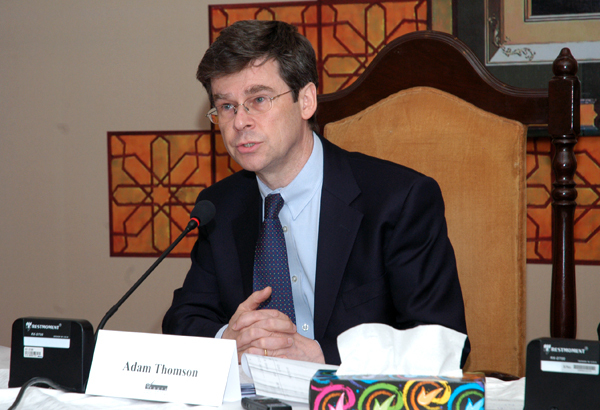 When a question asked about the visa scam during an Olympics-related press conference, Thomson said that “fraud and forgery were very strong industries in Pakistan.” He also claimed that The Sun’s agent Ali Asad had successfully attained a ‘fake passport’ in Pakistan to sneak into Britain along with Pakistan’s Olympic delegation.